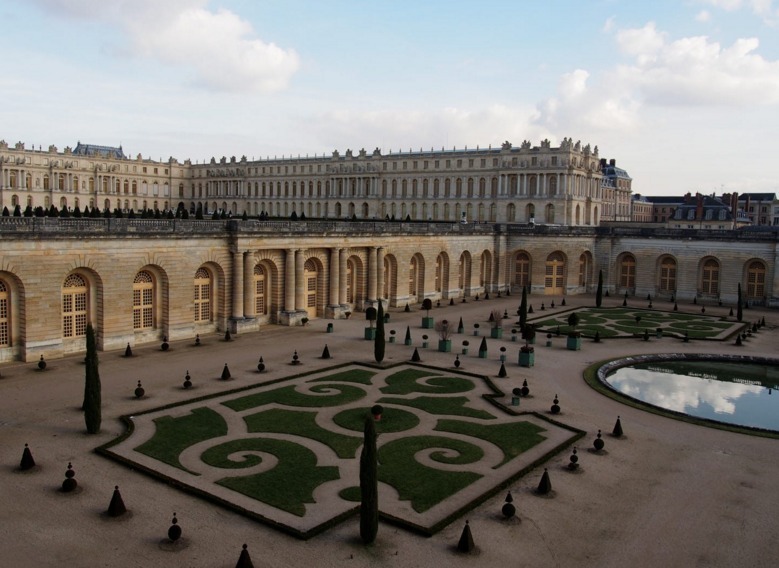 The name „Versailles” is not only associated with an impressive palace. For example, in Polish, the word means elegant behavior, good manners and respect social etiquette. The palace is an extraordinary combination of luxury baroque and classical harmony. Designed by architect Louis Le Vau and Jules Hardouin-Mansart, it was extended by adding wings around the Court of Ministers, the Royal Court and the Court of Marble. King and Queen’s apartments were located around the Royal Court. The building has two floors and an attic and the garden facade with a length of 640 m, it is considered the most beautiful part of the complex. In the central part of the room is superbly situated mirrors (72 m long, 10 m wide and 13 m high) with large windows 17 and mirrors 17 placed on the opposite wall. This room was used for extravagant balls and also here was signed the Treaty of Versailles, which ended World War. The French Revolution had devastating results for Versailles, but the walls were only slightly damaged. King Louis-Philippe rescues from oblivion. He renivarea finances and, in 1837, opens in former courtiers apartments in the south wing, a museum of the history of France. One of the most interesting sections of the palace is the Royal Chapel (whose upper floor was reserved for the royal family) – the last spectacularly built in the time of Louis XIV. Similarly, in the north wing of the opera theater was opened in 1770 to celebrate the marriage of Louis XIV with Maria Antoaneta. In the center of the complex are located bedrooms King (where he died Louis XIV) and the Queen. The gardens are renowned for their beauty. In 1960, Andre Le Notre designed them well in the French style: plants perfectly cut, symmetrical paths and water. Canal, 1,562 m long. On the southern side was built a Orangerie which houses, winter, semi-tropical plants. At the edge of the park, away from the residence preincipala, it is Grand Trianon – a complex of two palaces and gardens. 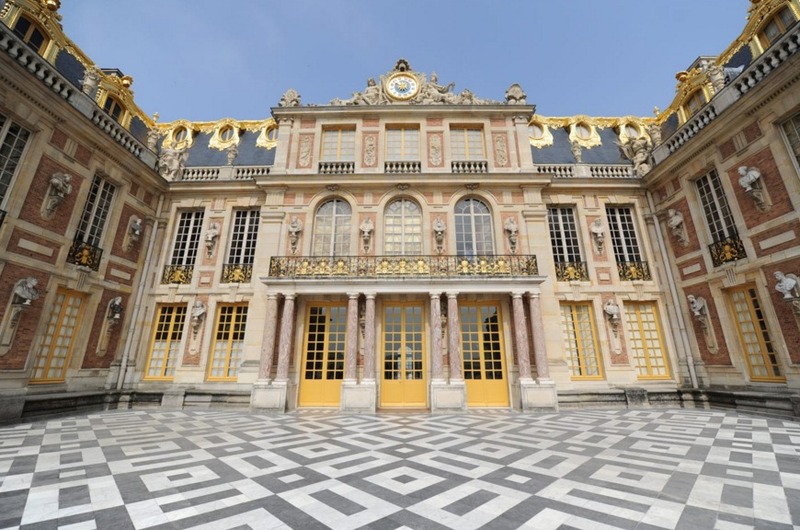 It was built between 1687-1688 by Louis XIV, which he used to meet his mistress. Petit Trianon (Petit Trianon), built in 1762-1768, is where Louis XIV has been spent the last years of his life. 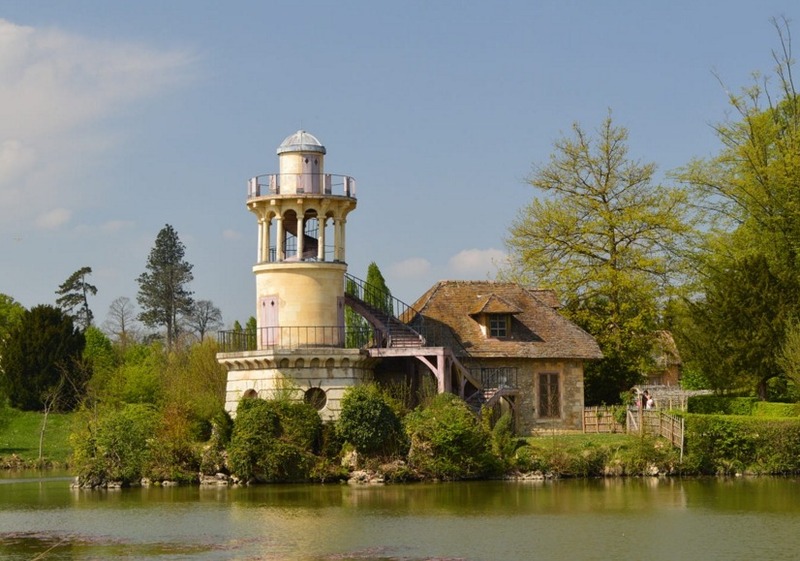 Later, it was adopted by Maria Antoaneta, wife of Louis XIV, which included, in the period 1782-1786, a retreat built in rustic style for her called „Queens Home”. The city was created to meet the demands of the palace. In 1873, this Treaty is signed that ends the war Anglo-francez.Prin this treaty, Britain recognized the independence of the United States. During the Franco-Prussian war, Otto von Bismarck established their Headquarters in Versailles (1870), and, a year later, proclaims German Empire. The town lies in the shadow of the palace, but has some interesting historical monuments such as the church of Notre Damme and Marie Stables, both designed by Hardouin-Mansart in sec. XVII, as well as the Saint Louis (sec. XVIII). Hygiene Versailles: sec. XVII is believed that bathing is not healthy, so avoid the water courtiers and odors with perfume. Palace was not equipped with toilets, people use various locations that they came to hand: walls, floors, fireplaces. Only the king was a servant who led the chamber pot. Each year, the palace of Versailles, is visited by 6 million tourists, about as many as the entire visit Romania. King Louis XIV used to organize parties on the water, the artificial lake Grand Canal. Courtiers not knocking the king, but little finger nail scratching with his left hand. Many dinre they had let the nail grow only for this purpose. King bedroom Queen visit accompanied by a large retinue, assisting his intimate meetings. Maria Antoaneta refused to comply royal label and preferred to meet with Louis XIV secret in her apartment. After the French Revolution, the palace was looted. Today, palace Director tasks include finding and buying original furniture in the antique auctions.